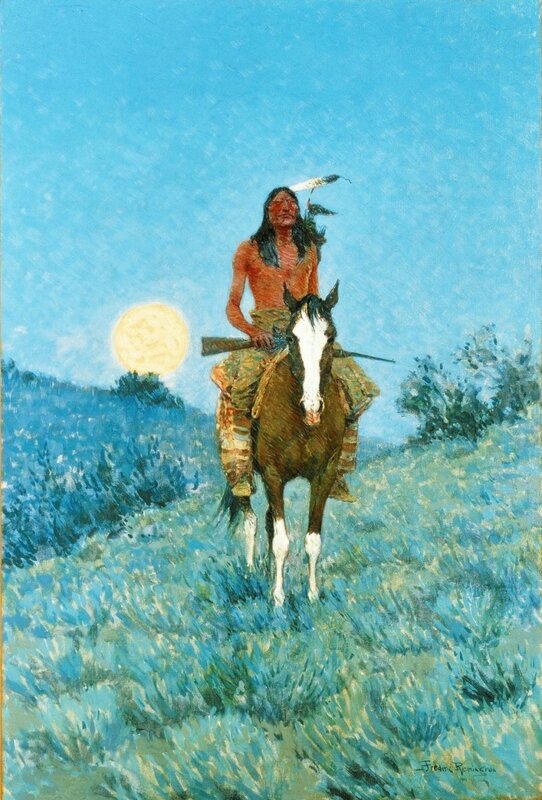 The 2019 series will kick off on Wednesday, January 9, with a presentation by Bob Thacker entitled, “Meeting The Cowboy, Seeing The Outlier.” Thacker will explore some Remington works dating from the last part of the artist’s career. Bob taught at St. Lawrence University for thirty-five years. He is the author of The Great Prairie Fact and Literary Imagination, has been President and Executive Secretary of the Western Literature Association, and has a particular interest in comparing the Canadian West with that of the U.S. The series continues on Wednesday, February 13, with a presentation by Maria Pedroso-Parker entitled, “A Cuban Woman’s View on Frederic Remington and the Spanish American War.” Pedroso-Parker will offer Cuban perspectives on the Spanish-American War and her own reflections on Remington’s representations of that war. She will also introduce audiences to José Martí, Cuban poet, writer and freedom fighter who was responsible for igniting the Spanish American War from the Cuban side. 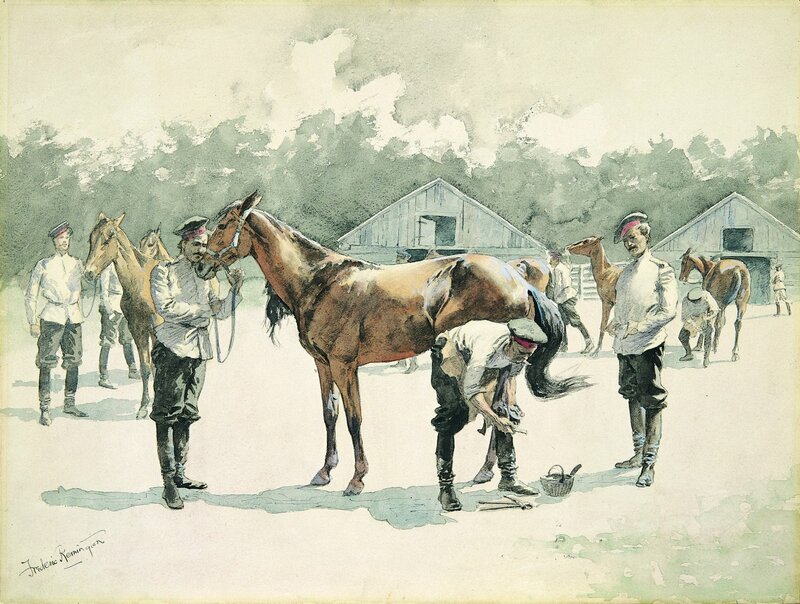 The series continues on Wednesday, March 13, with a presentation by Lowell McAllister entitled, “Shoeing Cossack Horses and How It Came to Us.” Lowell McAllister was Executive Director of the Frederic Remington Art Museum from 1985 to 2005. 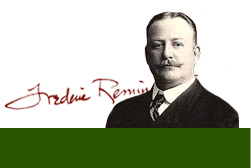 A number of important works by Frederic Remington—including Shoeing Cossack Horses—were added to the Museum’s permanent collection during his tenure as Executive Director. McAllister’s presentation will relate the interesting and unusual circumstances that brought Shoeing Cossack Horses to the Museum. The series concludes with a special presentation of the Museum's One Hour One Work program. 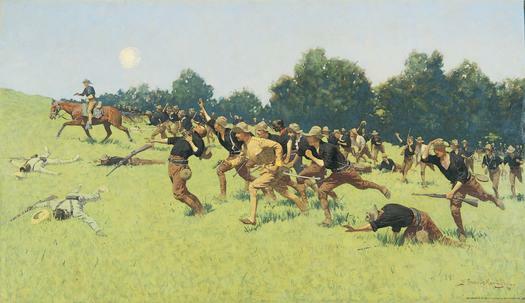 Museum Education Specialist Laura Desmond will introduce the One Hour One Work program, and then facilitate a conversation about Frederic Remington’s 1899 oil painting, Captured, which is on loan to the Remington Museum from the Sid Richardson Museum in Fort Worth, TX. January 10, 2018: James D. Carl, “David Parish’s European Architect, Joseph Ramée, and an Early North Country Building Effort.” Dr. Carl will speak about French architect and landscape designer Joseph Ramée and his work in the North Country in the early 1800s. Ramée was brought to America in 1812 by David Parish of Ogdensburg to participate in Parish’s land development efforts in the area. Tea hosted by Ann Groome and friends. February 14, 2018: Caroline Downing, "The Adirondacks and American Art." Many artists have been inspired by the Adirondack region of New York State, including Thomas Cole, Winslow Homer, Georgia O’Keeffe, Frederic Remington, and numerous contemporary artists. Downing will look at the work of a number of these artists, studying their individual responses to the landscape, and noting, in many cases, their strong concern for protecting the distinctive environment of what is known today as the Adirondack Park. Tea hosted by Ann Spies, Fran Naccarato, and friends. Watch video. March 14, 2018: The life and work of early 20th century Ogdensburg sculptor Sally James Farnham, as interpreted by Carole Berard. Tea hosted by Ann Groome, Nancy Skiff, and friends. April 11, 2018: Sean O'Brien, "Irish Settlement Roads: Nineteenth-Century Stories of Migration to the North Country." Tea hosted by Luann Herzog, Kathie Wade, and friends. Watch video. Follow the link to our Flickr sets to see past photos of some lecturers.